We first met Tamera when she wrote her first book in the Belle Meade series which was set in Belle Meade Plantation in Nashville, TN. The book is titled To Whisper Her Name and was released in 2012. An historical novel set against the real history of Belle Meade Plantation that explores the struggles of real people of the post-war South and the journeys of a man and a woman scarred by betrayal. I read this novel and was transported into each page and came to know each character. To say that Tamera Alexander did an excellent job writing this book is an understatement. I could not put it down, I had to finish it; I could not leave these characters. 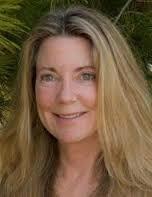 If you haven’t read her books, you are missing a tremendous, exciting and rewarding experience. I have since then read every book she wrote. Since then she has written more books set in Belle Meade; To Win Her Favor and To Wager Her Heart. Then came her books set in the Belmont Mansion in Nashville, TN. She wrote a Note Yet Unsung, A Lasting Impression and A Beauty so Rare. Again, not once have her books disappointed me. Each time I am transported to that time. She also has other books out, so you will have plenty to read while she is writing a new one. Her newest book, just released is, With This Pledge. This series is set in Carnton House which is in Franklin, TN. From the pages of history and the personal accounts of those who endured the Battle of Franklin, Tamera Alexander weaves the real-life love letters between Captain Roland Ward Jones and Miss Elizabeth Clouston into a story of unlikely romance first kindled amid the shadows of war. Don’t miss reading this extraordinary book. Niles Reddick is the author of a collection of stories titled Road Kill Art and Other Oddities which was a finalist for an Eppie award, his novel Lead Me Home was a national finalist for a ForeWord Award, a finalist in the Georgia Author of the Year award in the fiction category, and a nominee for an IPPY award. His work has appeared in anthologies, and been featured in many journals. His new novel, Drifting too far from the Shore, releases in September 2016. We are delighted you could join us Niles. That is quite a compliment. Tell us about your book. I think readers will fall in love with my character Muddy “Charlotte” Rewis, a sassy yet reserved southern woman who has a cane and ain’t afraid to use it. Muddy believes she is in her last days and longs to reunite in heaven with her deceased husband, Claude, But when Muddy’s grandson shoots out a neighbor’s front window, an old friendship is renewed, and troubling mysteries irresistibly revived. Can’t wait to read it. I like the character already. I understand Drifting too far from the Shore has been nominated for the Pulitzer Prize, a PEN-Faulkner award. So I want to congratulate you on the nomination. That is quite an honor. And it has also been nominated for a ForeWord award in fiction. Lead Me Home . A glimpse of a pragmatic, surreal and spiritual Southern journey back to his roots shows Max Peacock that one can come back home. Then there is Road kill Art and Other Oddities. It’s a collection of short stories. I’m told people laugh out loud at the eccentricities of the characters and their peculiar situations. Set in the rural past and the strip mall world of the New South. These stories offer readers glimpses into every day experiences through the eyes of a manic narrator who survives and thrives on the oddities of the modern American South. I am so glad you visited with us today Niles. Having read a number of things you’ve written, I think you are going to be one of the writers people will gravitate to. You give your reader enjoyment but most important you give your reader that feeling of realness. Congratulations. I look forward to this new book. Come back and visit. Be sure and visit Niles at his blog and also on his website http://nilesreddick.com/ He loves to hear from his readers.Don’t miss reading one of his books or his blog, it give you that certain something we all need each day. A word I would use to describe Claire Fullerton is adventurous. Although she was born in Minnesota, she moved to Memphis, Tennessee when she was 10. I heard you consider yourself still a Southerner even though you now live in California. I read you are a people watcher. Tell us what opened the door to your writing. Your first published novel, A Portal in Time, tell us the story behind that book. I loved your article you wrote in our May/June Southern Writers Magazine, “Keeping the Faith on the Road to Publication.” Not only was it interesting and helpful for other writers but I know people who don’t write that read it and they enjoyed so much learning about this part of a writers behind the scenes. Your second book, Dancing to an Irish Reel, Tell us about your book. I think you captured everything I think of Ireland in this book. A land where family, breezes, tradition and adventure are all rolled in the landscape together. “One reviewer described it as “A sensitive and lyrical tribute to the Irish culture and the wonders of falling in love.” The story concerns twenty-five year old Hailey Crossan, who takes a sabbatical from her job in the LA record business and travels to the west of Ireland, where she is offered a job too good to turn down. It becomes a year of firsts, where everything is about discovery as Hailey navigates the social nuances and customs of a culture as old as time itself. Hailey works at The Galway Music Centre, where she is surrounded by a handful of vibrant Irish friends who help her decipher what’s going on when she meets a regionally famous, traditional musician, who is so unbalanced at the prospect of love that he won’t come closer nor completely go away! 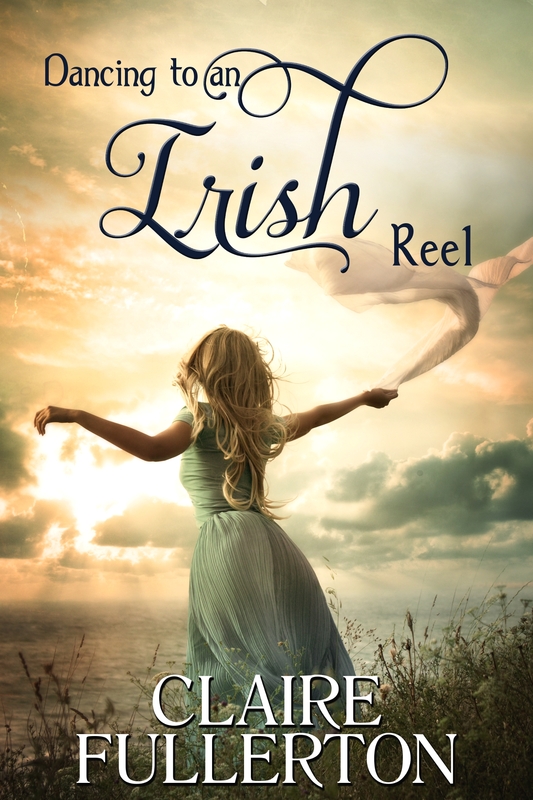 The title, “Dancing to an Irish Reel” refers to the push and pull, the ambiguity and uncertainty of attraction with all its hope, fears, excitement and confusions played out on an Irish stage! You have a wonderful ability to weave your personal experiences into your stories. Indeed, you are a talented writer. When your next book is ready to launch, please drop by and tell us about the story. Be sure and visit Claire’s website, http://www.clairefullerton.com/. She would love to hear from you.